Just one day after the end of The Division 2’s Private Beta, the dev team has announced another opportunity for all players out there to try out their game in the form of an Open Beta, starting from March 1st and ending on Monday, March 4th, 2019. 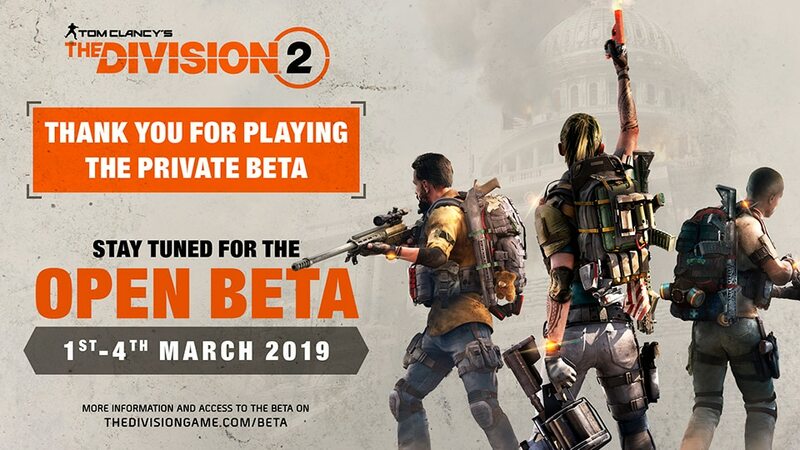 The Private Beta progress will not carry over to the Open Beta. Players who previously participated in the Private Beta would have to create a new character. There will be again at least two unlockable beta rewards (the same as from the Private Beta). More information about the Open Beta start times, download size, etc. will be given out soon. Stay tuned!